INTEX 8' x 30" Easy Set Inflatable Swimming Pool Only $39.95 PLUS FREE Shipping! 50% OFF! You are here: Home / Great Deals / Amazon Deals / INTEX 8′ x 30″ Easy Set Inflatable Swimming Pool Only $39.95 PLUS FREE Shipping! 50% OFF! 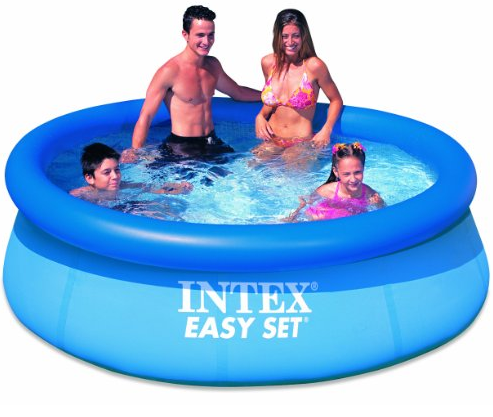 INTEX 8′ x 30″ Easy Set Inflatable Swimming Pool Only $39.95 PLUS FREE Shipping! 50% OFF! I don’t know about where you are at, but here, it has been scorching hot lately! This is the perfect time to get a pool for keeping cool! get this INTEX 8′ x 30″ Easy Set Inflatable Swimming Pool for Only $39.95 PLUS FREE Shipping! That’s 50% OFF!